Ever since Bruichladdich’s acquisition by Rémy Martin earlier this year they’ve been very much at the forefront of the whisky news. Throw into the mix the culmination of some of their pre-buyout plans and you’ve got a distillery whose brand ambassadors are in quite a lot of demand. Fortunately we managed to snag their world wandering ambassador and brand development guy Craig Johnstone to pop down to TWE Vinopolis and show us what they have going on at the moment. Craig’s been doing whisky related things since he was legally allowed to drink, starting off at Glenkinchie at the age of 18. 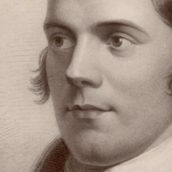 His plans of a ‘proper job’ fell by the wayside and along with Glenkinchie he also managed to fit in a stint of working at the SMWS, an astrophysics degree and a year of wandering Canada for the Edrington Group. 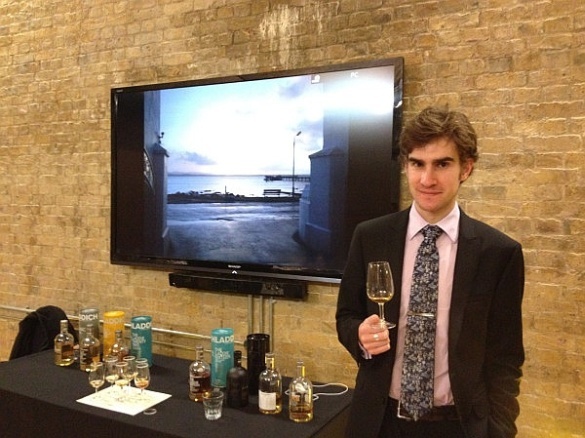 However, he has now settled down and since January 2012 he’s been showing Bruichladdich off to the masses. 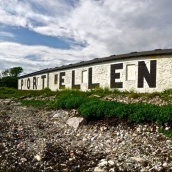 While the acquisition has coincided with the shake-up of the Bruichladdich range, the current line-up changes have been on the cards for a while – the end point of the revenue-raising strategies that have kept the distillery going over the first ten years of operation since Mark Reynier and chums bought the mothballed distillery back in 2000. 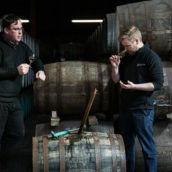 The plan was simple – rather than continue to release a frankly unsustainable range of different whiskies, instead focus on a core range under a small number of brands, each showing off a different aspect of the world they do at the distillery: Bruichladdich – unpeated Islay whisky; Port Charlotte – peated Islay whisky; Octomore – crazy peated Islay whisky. We kicked off the tasting with the Organic Multi Vintage, a whisky that sums up a lot of Bruichladdich’s approach to whisky making. Back in ye olden dayes all barley was organic, thanks to the technology that has since created high yield, uniform grain not existing. The organic barley that Bruichladdich uses costs more than the regular stuff, doesn’t produce as much grain per hectare and has a lower alcohol yield at the end of the process. However, in an industry that increasingly ignores the provenance of its raw ingredients (at least publicly) Bruichladdich are championing the use of more interesting grain and trumpeting the difference it makes to the new make spirit, and thus the matured whisky. This was from a refill bourbon cask and we were told that the whiskies used were aged between seven and nine years. Nose: Creamy, green fruit, apple skin, vanilla ice cream, green rhubarb, lime Fox’s Glacier Fruits, hints of mulch and brine, some traditional Bruichladdich ‘Butryic notes’ (aka: baby sick) and a touch of creosote. 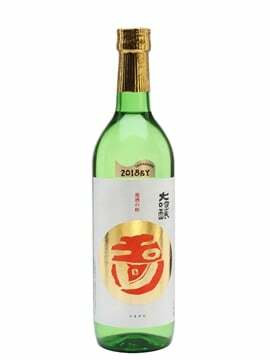 Palate: Oily and quite heavy in body, but creamy to taste with spiced apple, apple skin, some mineral notes and a touch of brine. Finish: More apple, lingering tannic hints and some porridgey grain. 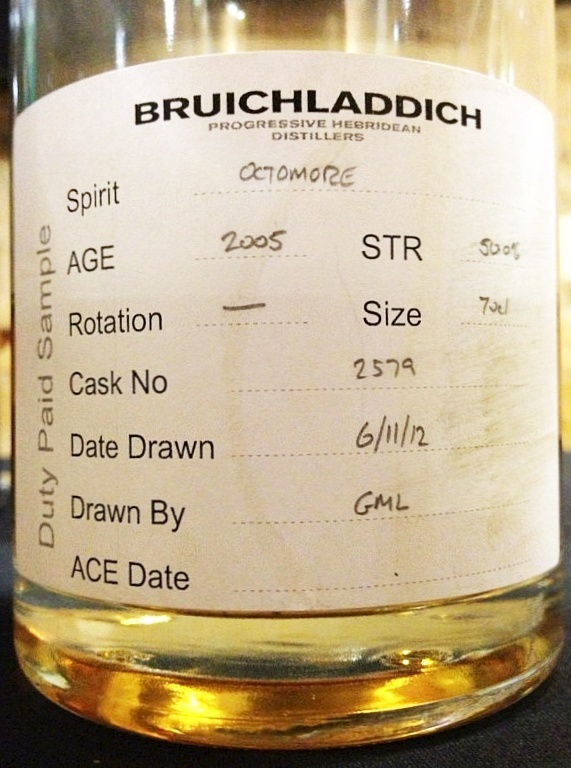 Comment: A heavy spirit with some light grainy flavours – this is pretty much how I imagine Bruichladdich. Nose: A little closed but very clean with faint honey and milled grist initially. Develops notes of fresh laundry, green apples, cold porridge & milky Weetabix aromas; then bourbony vanilla & sawdust. Palate: Warming & peppery. Follows on from the nose well, a very clean, fresh, youthful, appley bourbon-cask character with faint swimming pool aromas and a grassy / leafy note. Youthful, but with no flaws; creamy initially, then sappy oak and lemon juice, finally developing a nice creamy cranachan & melted vanilla ice cream character. Gets a bit too spicy for me with water. Finish: Not particularly long, but pleasant while it’s there. 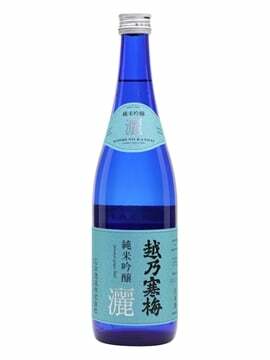 Comment: A straightforward, uncomplicated young spirit, refreshingly drinkable and with great potential. We moved on to a further refinement of their DIY philosophy – Islay Barley 5 Year Old. Farmers on the island haven’t really grown barley for years, with the last harvest being in 1939, with transport links from the mainland making it economically sensible to ship in rather than produce locally. However, with Bruichladdich’s obsession with the nature of the barley has come a focus on terroir (where it’s grown) – if you’re making whisky on Islay and obsess about the grain, you’re going to want to some Islay barley. Nose: Vanilla cream, hints of grapefruit, sharp grain notes, brine, and hints of moss and stones. 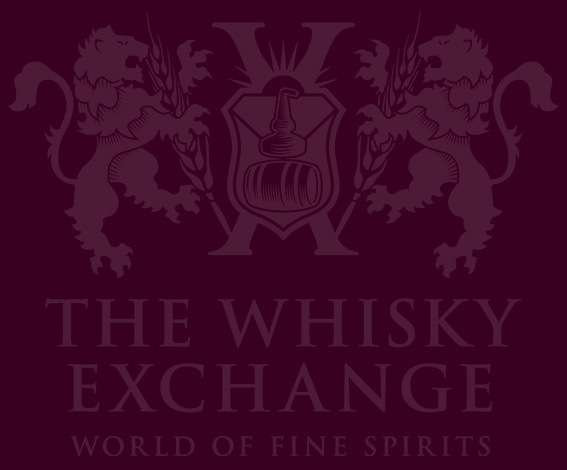 Palate: Thick and oily again with lots of spiciness, almost like a rye whisky – aniseed, sour fruit and green wood. Finish: Light, with some grain, custard and (my notes claim) ‘Fennel porridge’. Nose: Crunchie bars, clean, very leafy and again a very ‘pure’ young bourbon oak cask character with apple and vanilla leading the way. Palate: A little hot and spirity at full strength, resinous and very reminiscent of newly-sawn wood. With water, much better: a thread of honeysuckle, quite biscuity, sweet oatcakes. Still quite hot. Finish: Again, not massively long, but no worse for it. Comment: Definitely needs water and does show its youth, but again, there is great potential here. While Bruichladdich are using increasingly more organic barley in their production (50% last year, of which 50% was from Islay) they are also using other barley for their other whiskies. 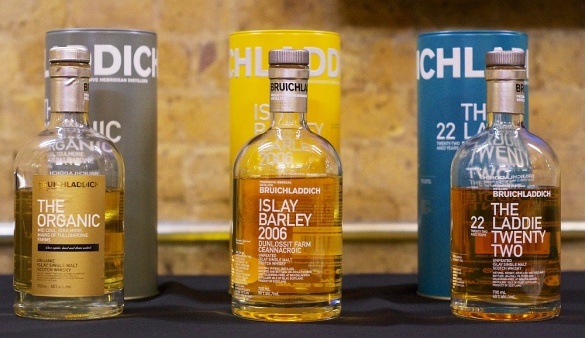 Under the Bruichladdich banner they’re settling things down to have three main expressions other than the organic bottlings, settling on a 10yo, 16yo and 22yo, the Laddie range. With the 10 year old having been out for a while we instead focused on the two newbies in the line-up – the 16 and 22. First we went for the Laddie 22, for reasons that would become apparent in time. The 22yo, obviously, consists of whisky distilled back before the current resurgence of the distillery, although it is vatted from casks that were reracked into first-fill bourbon casks back in 2001 to give them a bit more woody oomph. Nose: Vanilla, spiced apple, apple skin, rich salted caramel, sweet berries and polished wood (with a hint of Mr Sheen). Palate: Soft, light and woody spice, apple chews, pear skin, cinnamon and spiced sponge cake. Finish: Tingling spice, creamed apple, brown sugar and a savoury leafiness. Comment: An example of great use of bourbon casks – spicy but with balanced fruit and sweet vanilla. 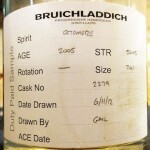 My favourite Bruichladdich so far. Nose: Very different than the earlier ones – this is evidently fully mature! Still the fresh, clean bourbon notes here – again, it’s all apples, honey and vanilla. 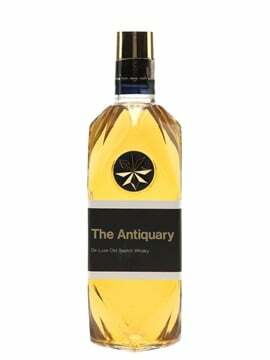 Palate: Apples & pears, flapjacks & cranachan again, with creamy vanilla – the oak gest qwuite big, then some tinned fruit and lots of honey. Finish: Long & woody (in a good way). Comment: This is very good – serious whisky with depth. Seems pretty powerful for a 46% dram. 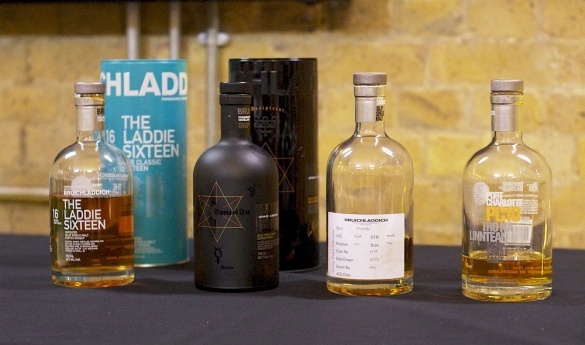 Next was the Laddie Classic 16, with a break from the traditional tasting order of ‘start with the youngest and go up’ due to intensity of flavour – while the 22 was no shrinking violet it was quite a bit more delicate than the 16, which has spent 6 weeks finishing in new French oak for some more extreme woody notes. It is also not actually a 16 year old whisky, as the distillery was closed 16 years ago. However, 16 is the age that the distillers want to position the whisky in their range, and while it is currently made up of whisky that’s at least 18 years of age they will be able to start using their own 16 year old spirit in a few years. Nose: Definitely a product of new French oak – ginger, cinnamon, dark chocolate and some rubberiness. Along with that there’s some more traditional Bruichladdich flavours, with cream, apples and some lime sweets. Palate: Much softer than the quite confrontational nose, but still packed with tigly spice, brown sugar, sour apples and rich malt syrup. Finish: Lingering spice, apple skin, sticking caramel and a few floral hints right at the end. Comment: I am not a fan of new French oak finished whisky and this was definitely not for me. However, those who are more inclined towards big woody spice loved it. Nose: Very big and sweet at 46%. Rich syrupy notes, tinned peaches, resiny oak; some blackcurrant leaf & wet gravel minerality in the background. Palate: Quite spicy -hot & full in the mouth. A sweet attack, with sawdust, sap and resin. The fruit is rthere, along with some prominent clove and cinnamon spices. Develops very creamy vanilla, milk chocolate, apple pie. Excellent with a drop of water. Comment: I know Billy wasn’t a fan, but I thought this one was fantastic. We then stepped back a bit to a style that has become synonymous with much of Bruichladdich’s output over more recent years – wine finishes. Jim McEwan, Bruichladdich’s master distiller, is known for his love of finishing whisky and this is the culmination of his experiments – Black Art 3. Craig couldn’t tell us exactly what had gone on to create this whisky, other than it contains whisky matured in at least 6 different types of casks and that the only one he was sure of was first fill bourbon, as he’d seen those in real life. Nose: Spiced fruit sponge, gravel, moss, apple skin, white pepper and lots of red wine tannins. Palate: Hot, spicy and dry with fruitcake, ground almonds, hints of liquorice, marzipan and dried cherries. Finish: Liquorice, almonds, wood sap and good old wood. Comment: This was a bit ‘out there’ and definitely lives up to the Black Art reputation. If you like rich and fruity whisky then this is a winner, although there’s a bit of old wood in the mix that won’t be to everyone’s taste. The penultimate whisky was something that Craig had liberated from the ‘experiments’ cupboard – a 7 year old Octomore, peated to 152 ppm (like release 3) and matured in a first fill oloroso cask. This isn’t released and isn’t on the upcoming releases list as yet, but does show the sort of experiments they are doing with their scarily peaty Octomore spirit. Along with this Craig also revealed that the French oak casks that were used to finish the Laddie 16 are now filled with Octomore and are quietly maturing in the Bruichladdich warehouses. Nose: Sweet ham, moss, sweet syrup, ferns, brine, sea spray, slate, fennel tops, green herbs, damp wood and medicinal undertones. Palate: Sweet dark chocolate, more green ferns, cracked stones, smoked cheese, smoked apple rings and freshly unwrapped plasters. Finish: Lingering heat, more plasters, fruit and lingering hamminess. Comment: A more complex and drinkable Octomore than I’ve had before – I am now looking forward to the upcoming 10 year old. Nose: Very good indeed. Flinty, amazingly clovey, tweed, leaves, fennel, chalk, Edinburgh rock…even a eucalyptus menthol note. Palate: Huge phenols, very ashy; also very oily texture, with big clove, burnt wet wood, a brief plasticine note, pencil shavings, apple pie, wet slate; gets very sweet mid-palate with a chocolate cake mix note behind the phenols. Finish: Very long and smoky, with a sweet strawberry liquorice note at the death. Comment: A tremendous dram, my favourite of the tasting and the first Octomore I’ve really enjoyed. I’ve been less than complimentary about Octomore in the past, but I have to hold my hands up and say this one really hit the spot for me. Last on the mat was a recent release which lasted barely a couple of days on the website – the latest offering from the Port Charlotte range – PC10. Less insane than Octomore, PC still has a chunk of peat to it and has been picking up accolades from all quarters since it appeared on the market a few years back. This may not have an age statement on the bottle, but it celebrates the 10th anniversary of laying down the first Port Charlotte spirit and is the precursor to another ongoing release in Bruichladdich’s range – the Port Charlotte 10 year old, which is now available. Nose: Big prickly peat, pine and ferns, sea spray, wet car blankets and heavy mineral influence. 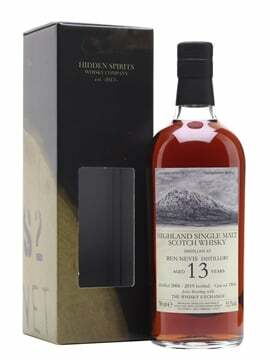 Palate: Toffee apples, peat fires, tingly heat, pine and ferns again, sweet apples, pear syrup and some mulchy grain. Finish: Lingering muddy smoke, wet dogs and crushed leaves. Comment: More in your face than the Octomore we tried, but less so than the released version – a big savoury, peaty dram with sharp edges and lots of flavour. Nose: Quite fierce nose-prickle. Very bandagey aromas, with some creaminess and something faintly butyric. Palate: Ashy. Honey & soot but nothing in between. Comment: Suffered a little by comparison to the preceding Octomore, which was terrific but probably overpowered my palate a little. A big thanks to Craig for coming down and running a great tasting – we’ll be keeping an eye on the distillery to see what happens next, with Rémy Martin’s CEO hinting that he has grand plans and preparations for longer production days beginning. This is definitely the beginning of another new era for the distillery. I just wanted to say a big thank you to TWE for your wonderful, witty and worthy blogs. They put a smile on my face and brighten up my days in the office. 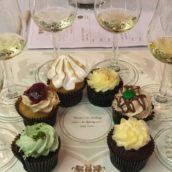 You inspire me when I write blogs for our site and when I write tasting notes for our bottlings as your tasting notes are fresh and inivative. Thanks again. Have a Merry Christmas and a Happy New Year. I know I will with my host of Glendronachs! I’m a sherry head! Many thanks for your kind words, Teresa!